An ambitious but reckless entrepreneur, a First Nation's band council and a group of investors agree to form a partnership to open a casino at a financially-troubled marina on Quadra Island. Unbeknownst to the entrepreneur and band leaders, the investors are secretly fronting a notorious biker gang. Matters turn ugly when they learn the truth and express their displeasure at working with outlaws. 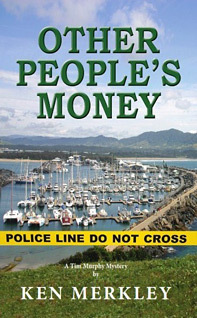 RCMP Staff Sergeant Tim Murphy is required to investigate when the entrepreneur is accused of fraud, but mysterious murders at the marina soon makes the situation a lot more critical.